*This is the first in a series of posts from Katherine Carter, founding principal of Manzanita SEED and GO’s Doctoral Resident in Education Leadership. Katherine is working on a community-driven design process to open Oakland’s first dual language middle school and multilingual high school. This first installment focuses on research-based evidence about the benefits of dual language and multilingual education for students. Dual Language programs prepare students to be part of our increasingly interconnected global society. They provide the cognitive, cultural, and linguistic benefits of bilingualism for all students and help transform our public schools into 21st century learning environments. Learning a second language supports increased cognitive development, especially in the area of executive function. (Executive function includes cognitive functions such as working memory, reasoning, task flexibility, and problem solving, which are recognized as increasingly important 21st century skills.). All students reap the benefits of the cognitive gains associated with bilingualism through enrollment in a dual language immersion program. It is not surprising that students in dual language programs consistently outperform monolingual students on standardized tests. This is true for both students who are learning English and English speakers who are learning a second language. Furthermore, the brain development promoted by language learning has long-term benefits, helping to prevent memory loss caused by Alzheimer’s and other forms of dementia associated with aging. An additional, societal benefit of two-way dual language immersion programs is that they decrease racial and socioeconomic segregation of schools by integrating students across language. Traditional, one-way bilingual programs that separate English Learners from the general population intensify this segregation within schools by separating English learners into separate classrooms. This linguistic isolation can increase cultural conflicts, stereotypes, and xenophobia. 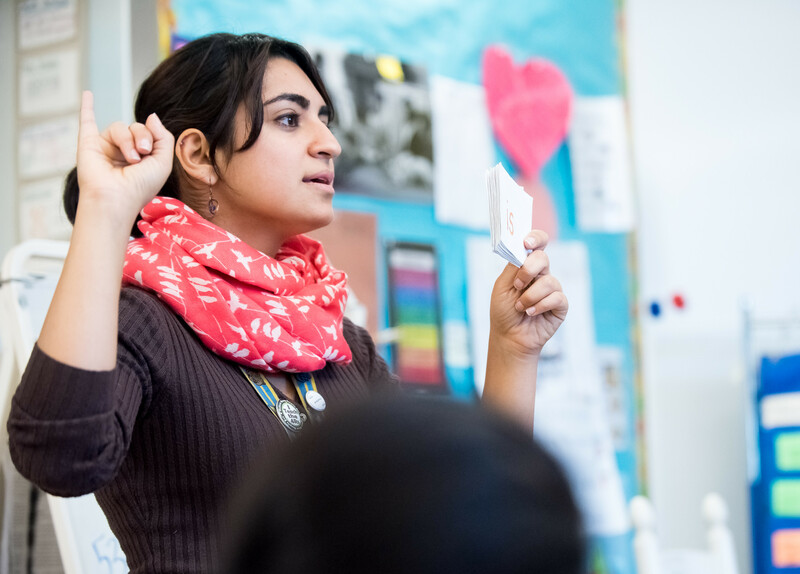 In contrast, dual language programs promote integration by intentionally serving students from different language backgrounds in the same classroom. Dual language programs promote communication across languages and cultures and can help create ground breaking friendships across traditional boundaries. The linguistic benefits of bilingualism, or multilingualism, are clear. Bilingual students are better prepared for a variety of post-high school options for college and career. The state of California recently recognized this by awarding a Seal of Biliteracy to graduating high school seniors who demonstrate proficiency in more than one language. Bilingual and multilingual students will have more access to our increasingly globalized society. More than half the world’s population speaks more than one language, however In the United States it is less than a quarter. At the same time, the US is a multilingual nation. According to the 2011 census, over 60 million Americans speak a language other than English at home. Developing more dual language and multilingual immersion programs will share this linguistic wealth across our nation. There is a growing amount of support for dual language and bilingual education in Oakland, across the state, and nationally. The former national secretary of education, Arne Duncan, coauthored a short article with Libia Gil titled “English learners: an asset for global, multilingual future.” In 2014, California State Senator Ricardo Lara authored Senate Bill 1174 which will give voters the chance to overturn Proposition 227, which limited bilingual education in California. When Proposition 227 was passed in 1998, the most prevalent bilingual model in California, and in Oakland, was the early-exit, or transitional bilingual program. Although this model may show evidence of short-term success, research indicates that it leads to poor long-term academic outcomes. In addition, transitional programs segregate students in the early grades in order to provide foundational knowledge and skills in the home language. Opponents of bilingual education express concerns over the poor academic results and cultural isolation produced by bilingual programs. 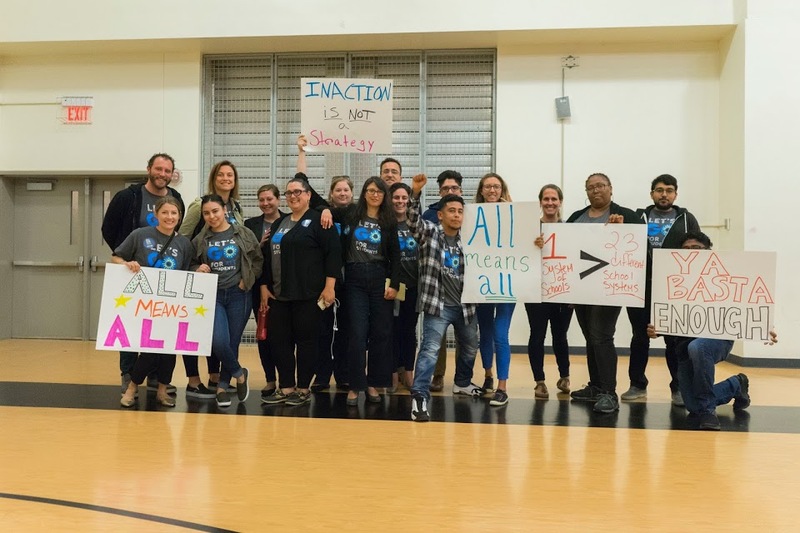 These very real concerns can be avoided through two-way dual language immersion, an educational model that promotes integration across linguistic and socio-economic lines and provides the benefits of a bilingual education for all students.